On March 20, 2014, after a little over three weeks of previews, the newest Disney Broadway musical Aladdin officially opened at the New Amsterdam Theatre. The musical, based on the hit 1992 animated feature film, includes several of the popular musical numbers; it also features three songs that were originally cut from the film: “Proud of Your Boy,” “Babak, Omar, Aladdin, Kassim,” and “High Adventure.” Four new songs were also introduced in the narrative: “These Palace Walls,” “A Million Miles Away,” “Diamond in the Rough,” and “Somebody’s Got Your Back.” The show would go on to be nominated for five Tony awards, winning Best Performance by a Featured Actor in a Musical for James Monroe Iglehart’s performance as Genie. The original Broadway cast starred Adam Jacobs as Aladdin, Courtney Reed as Jasmine, James Monroe Iglehart as Genie, and Jonathan Freeman as Jafar. Posted in Uncategorized and tagged 2010s, Animated Feature Film, Broadcast, Musical, Tony Award Nominated, Tony Award Winning. Bookmark the permalink. On November 16, 2006, the Broadway production of the hit stage musical Mary Poppins premiered at the Disney-owned New Amsterdam Theatre. 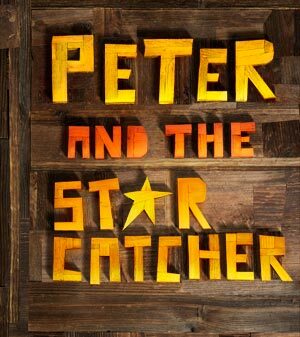 Based on the hit Disney film of the same name and the books by P. L. Travers, the show was a joint production by Disney and Cameron Macintosh, and opened on the London stage on September 15, 2004. The Broadway production featured Ashley Brown as Mary, and Gavin Lee as Bert, reprising his role from the London production. The show would go on to be nominated for seven Tony Awards, including Best Musical and Best Performance by a Leading Actor in a Musical for Gavin Lee; it would go on to win the Tony for Best Scenic Design. The musical had its last performance on March 3, 2013, after running for six years and 2,619 performances. Posted in Uncategorized and tagged 2000s, Broadway, Musical, Tony Award Nominated, Tony Award Winning. Bookmark the permalink. On September 5, 2004, the Disney musical Aida played its final performance at the Palace Theatre, ending after 1,852 performances in four and a half years. The Tony Award winning musical, originally entitled Elaborate Lives: The Legend of Aida and based on the opera by Verdi, had an interesting journey to Broadway, as the musical was very different when it previewed at the Alliance Theatre in Atlanta, Georgia, as well as a set mishap during a Chicago performance in 1999 where lead actors Heather Headley and Adam Pascal sustained minor injuries. The final performance featured Deborah Cox as Aida and Adam Pascal returning as Radames. Posted in Uncategorized and tagged 2000s, Broadway, Closed, Musical, Tony Award Winning. Bookmark the permalink.